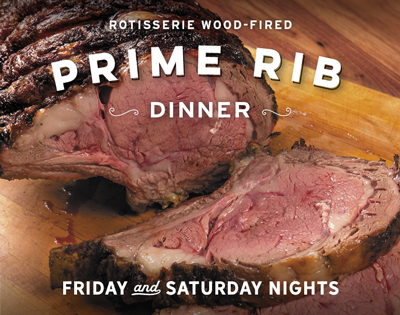 Every Friday and Saturday night, we’re offering a special prix-fixe Prime Rib dinner. Enjoy a Pt. Reyes Blue Cheese wedge salad followed by either our Market Street ($47.95) or bone-in cut ($55.95) of rotisserie wood-fired Prime Rib, served with creamed spinach, horseradish cream and melt-in-your-mouth fresh popovers. Add one of our Singular Sensation desserts for just $4.95 more. Winner, winner, Prime Rib dinner! Click here for reservations. 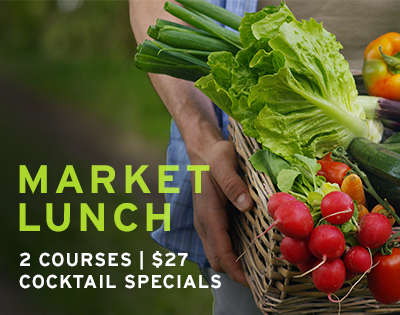 Two-course $27 Weekly Market Lunch & $6 Lunch Libations! Enjoy our two-course prix fixe lunch with a delicious weekly changing menu and compliment it with your choice of a Seagram’s Gin or Skyy Vodka Martini or Cosmo or Evan Williams Bourbon Manhattan. Click here for this week’s two-course menu. 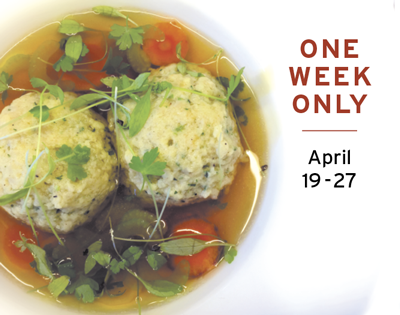 Passover is April 19-27 and throughout we’ll be offering Chef Mark Dommen’s delicious Matzo Ball soup. Available at both lunch and dinner and for take-out, too. Mother’s Day is Sunday, May 12- celebrate with us! You do the card, flowers and gift, we’ll do the cooking this Mother’s Day. 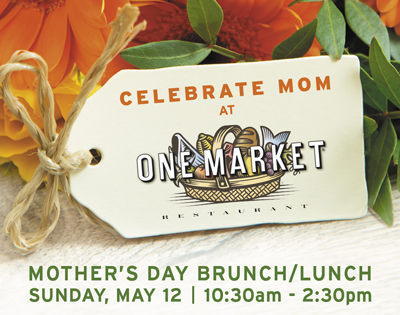 Reserve now for a special brunch or lunch with Mom at One Market Restaurant. Our menu can be viewed here. 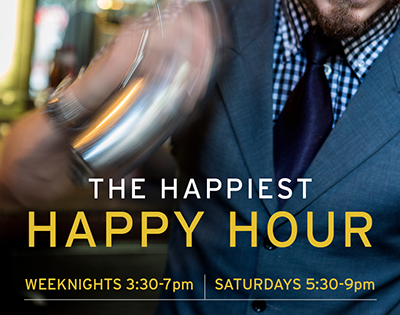 Join us for Happy Hour every weekday from 3:30-7:00pm and Saturdays, too from 5:30-9:00pm. Cocktail, beer and wine specials along with specially price bar bites and in an upscale, comfortable location. Check out our Happy Hour and full bar menu here. 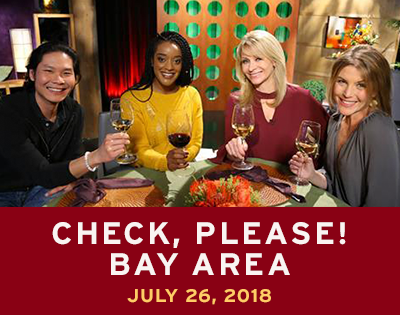 We are proud to have recently been featured on the local PBS affiliate KQED’s ever-popular and long-running series, Check, Please!-Bay Area. 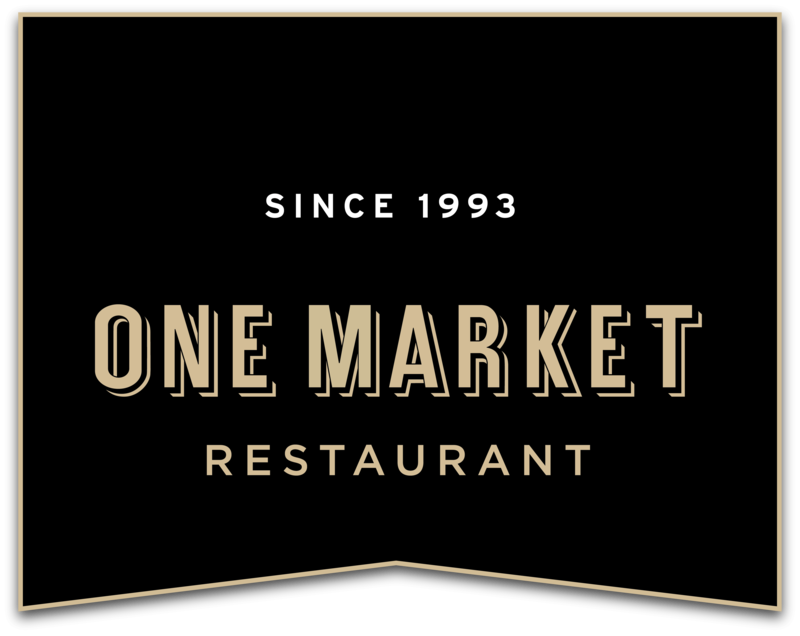 It’s a great window into what One Market Restaurant has been working to deliver to all our guests since opening in 1993. Here‘s a direct link to the video and our segment begins at 18:22, so fast-forward to this terrific review and representation of One Market Restaurant. 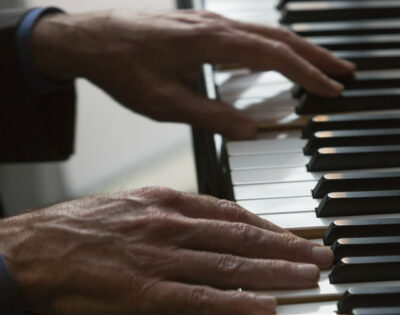 Monday through Saturday night, from 6:30-9:30pm, the Bay Area’s finest pianists jazz things up, headlined by local favorite Billy Philadelphia Wednesday through Saturday. 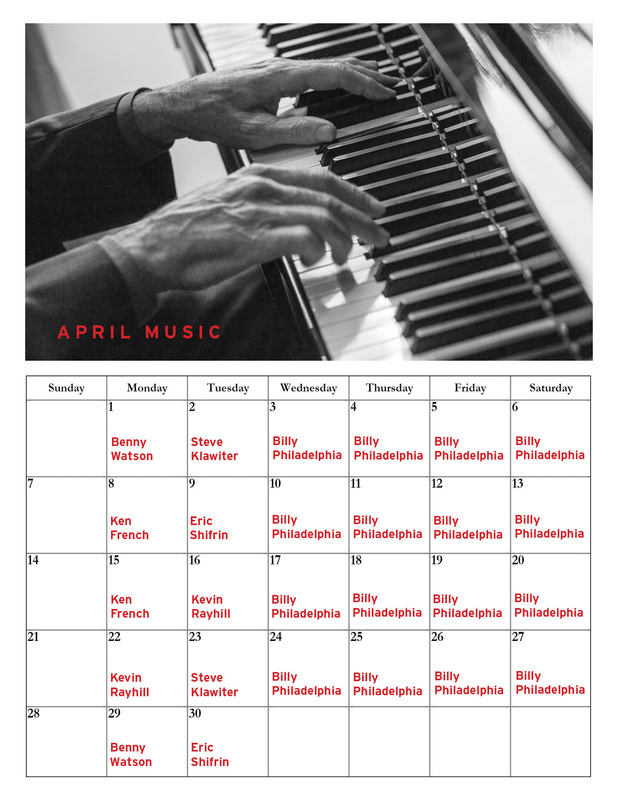 Click here for the monthly calendar. 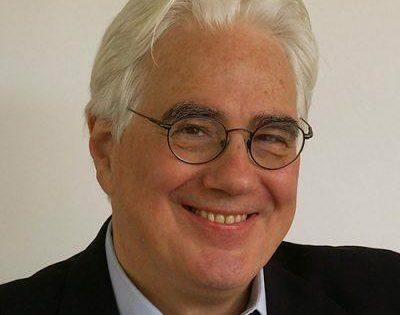 Legendary food writer John Mariani waxes nostalgic about One Market Restaurant’s 25 year anniversary in Forbes’ online edition.